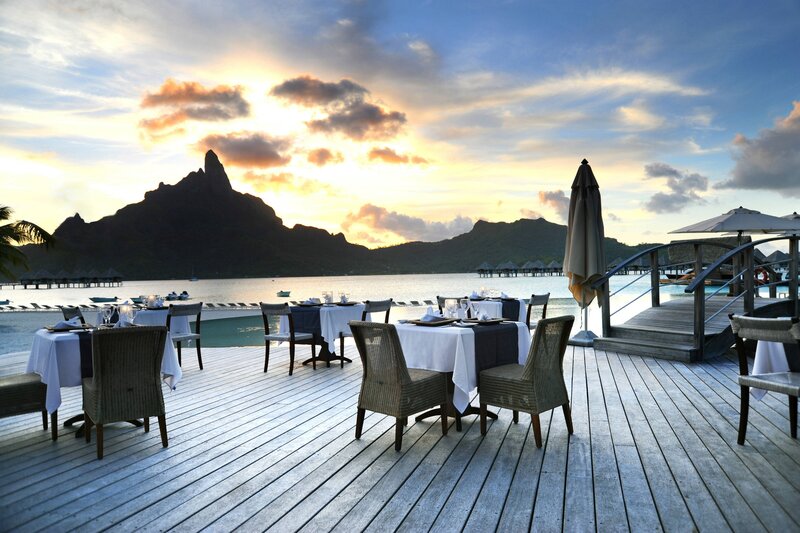 Le Méridien Bora Bora offers impressive dining options in five distinctive restaurants. Take a break from the sun at the Pool Bar just steps from our pool and lagoon area. Savor gourmet cuisine with a French Polynesian twist at Le Tipanié by our interior lagoon. 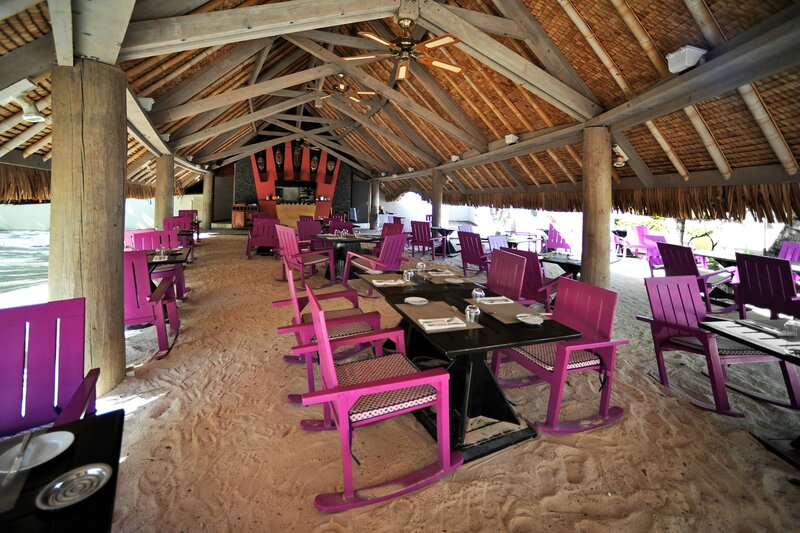 For casual lunches and dinners, visit Le Te Ava, our beachside restaurant. After a day spent exploring Bora Bora, unwind with a glass of wine at Hapaina Wine & Tapas Bar, featuring over 100 wines by the bottle or glass plus savory French Polynesian tapas. And be sure to spend an evening watching the sun set over Mount Otemanu at Miki Miki, our boat-shaped terrace and bar. Designed to resemble a thatched-hut village, Le Te Ava offers refreshing drinks, juices and light lunches and dinners. 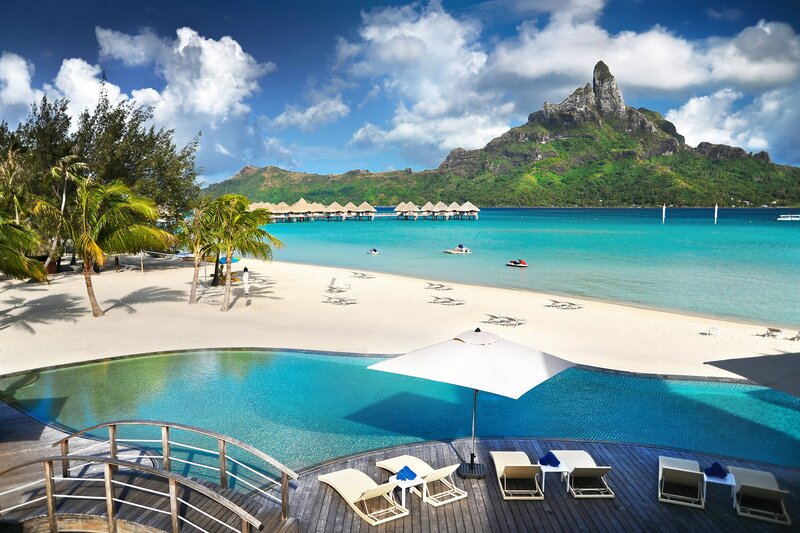 Our relaxed Bora Bora restaurant invites you to put your feet in the sand and admire views of Mount Otemanu. Enjoy an extravagant buffet breakfast each morning, and themed dinner buffets of international and Polynesian ahima&apos;a with dance show, as well as French Polynesian fare à la carte. Restaurant specialties include fresh caught fish and savory risottos. Sip on a tropical drink at our poolside restaurant while Bora Bora&apos;s ocean breezes cool you down, or nibble on snacks and light restaurant fare like French-style sandwiches and panini to enjoy both on the beach and at the swimming pool. This beautiful Bora Bora escape features a broad selection of whiskeys, served alongside American favorites like pizzas and hamburgers. With both casual and intimate dining options the MaiKai Restaurant embraces its surroundings to offer high quality cuisine right on the water. Have some succulent seafood and pair it with a creative cocktail. Eat at this 7 table gem and see why it&apos;s world famous. If you are craving some amazing sushi and other Japanese delights this restaurant is for you. Have your dinner in style on a gorgeous yacht. A delectable nod to our European heritage, enjoy these signature confections in classic or unexpected flavours inspired by each destination. Start the day with destination-focused discovery. Informed by the distinct flavors of each unique locale, enliven your morning with inspired edibles and an unexpected take on refreshment. Adds a modern twist to the timeless sophistication of the classic aperitif hour with an array of effervescent offerings and spritzers. This cocktail program brings a spirited flair to gatherings.